If you have been searching for a tree company in Morris County, look no further. Amazing Tree Services is a professional tree company that performs several tree services for both residential and commercial properties. Our expert tree technicians is well trained and experienced to perform any task safely and efficiently. We make sure that you have the best technicians around by never subcontracting. Many of these tasks can be dangerous when performed by an untrained individual. It is recommended to call the professionals, and it does not get any more professional than us. We offer high quality services for affordable prices. When a job is complete, we always clean the yard and leave it in pristine condition. We own all of our own tools, equipment and trucks. This allows us to charge less since there will be no rental fees. As summer approaches, now is the perfect time to start your lawn care. By pruning your trees and branches, you will not only have more aesthetically pleasing trees, but also regulate the sunlight and shade that your lawn gets. For more information on our Morris County tree company, call Amazing Tree Services at 973-343-6868. 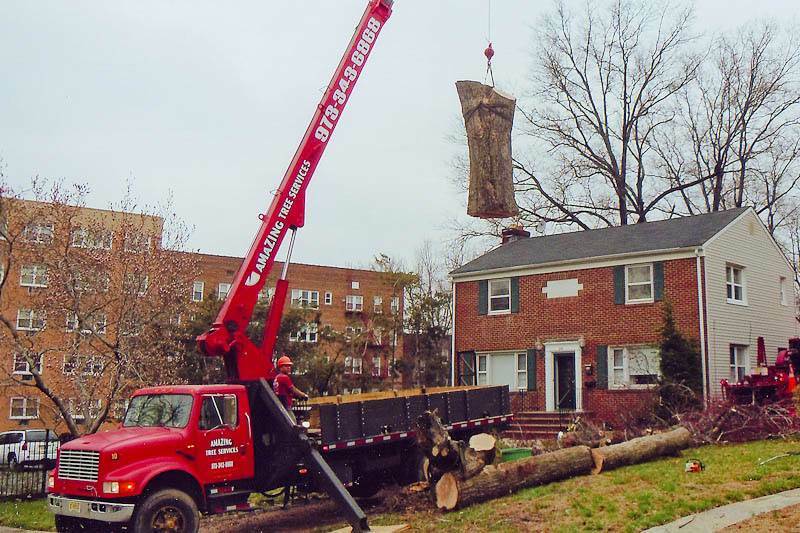 If you are in need of a good tree company in Essex County, Amazing Tree Services is a professional tree company that provides numerous services to commercial properties in Northern New Jersey. Our staff is skilled and experienced in all tree services. If you have any trees in need of removal, do not wait to call. We can quickly and efficiently remove any hazards that are waiting to happen. When our services are completed, we always thoroughly clean up the yard. If desired we can leave any remaining wood for firewood or chips. We own all of our own trucks and cranes, which can be rented out for many non-tree related services, such as snow plowing. If your trees’ branches are getting out of hand, we offer trimming and pruning services. We will trim any dead or dangling branches or prune any branches for aesthetic purposes. If there is a stump in your yard, we can easily grind it into pulp. This can be dangerous and is recommended to be handled by professionals. For more information on these or any other services provided by our Essex County tree company, call Amazing Tree Services at 973-343-6868. 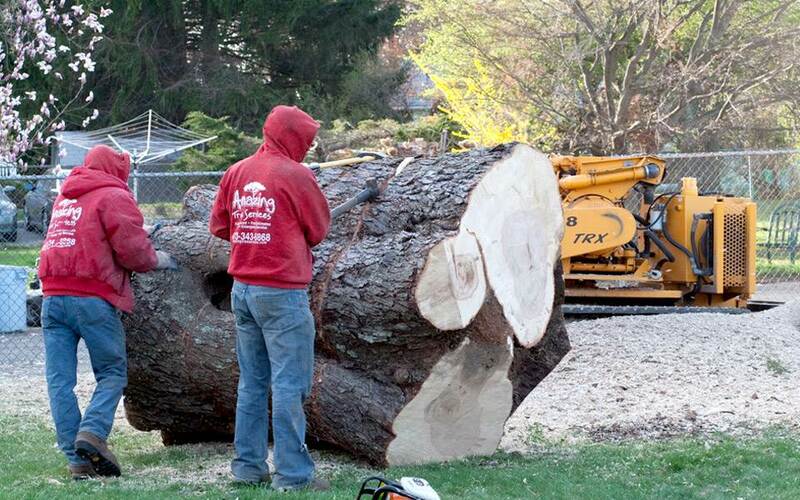 If you are in need of tree services in Morris County, Amazing Tree Services can help you with anything. We are a fully licensed and insured professional tree company that serves Northern New Jersey. All of our work is fully guaranteed, and our highly skilled and experienced staff provides high quality tree work at reasonable prices. Recent storms have left many trees uprooted and many branches left dangling. This is not only unsightly but can also be hazardous. These branches can drop at anytime, potentially harming people or damaging property. We can remove these things quickly and easily. We own all of our own equipment, tools and trucks. This allows us to cut prices for rental fees. If you would like more information on any of the Morris County tree services that we provide, call Amazing Tree Services at 973-343-6868. Are you looking for a tree company in NJ? Amazing Tree Services is a professional tree company that serves Northern New Jersey with a multitude of tree services, including removal, trimming, pruning and stump grinding. We look to provide all of our customers with excellent tree services at affordable prices. Amazing Tree Services own all of our trucks, tools and equipment. 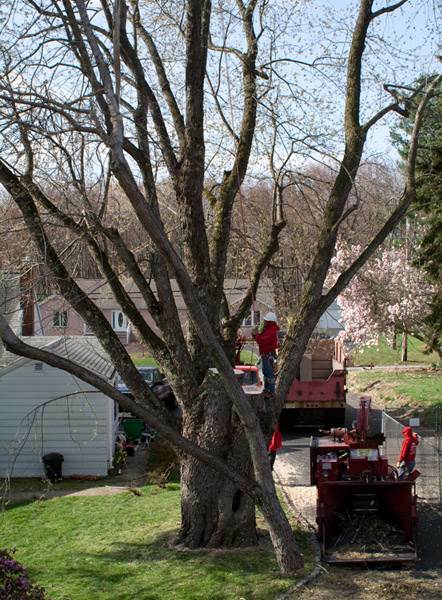 This cuts down on rental costs, allowing us to cut costs on all of the services that our NJ tree company provides. When a job is completed, we will clean your yard and can leave the wood, either for firewood or wood chips, if requested. Along with all of the aforementioned tree services, we also can use our trucks and cranes for various other services such as snow plowing. 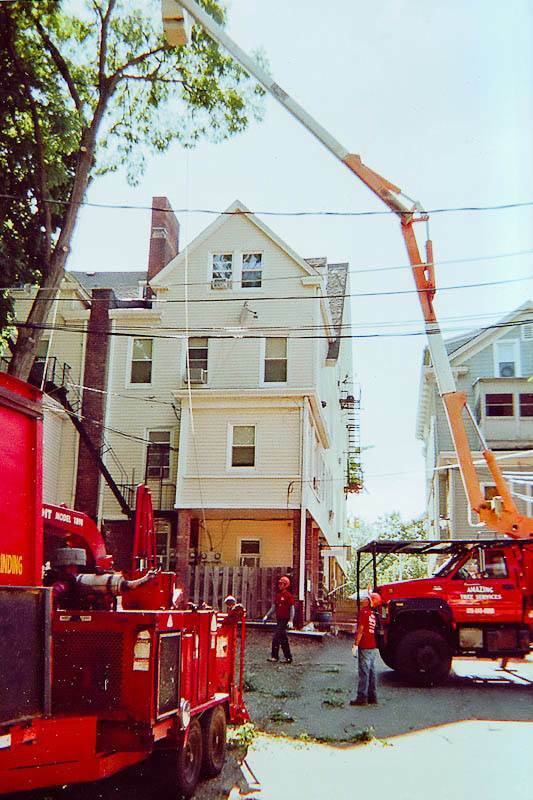 If a tree is left with hanging branches, it can be dangerous to surrounding people and property. There is no reason to leave dead branches when we can quickly remove them. Amazing Tree Services is a fully licensed and insured tree company in NJ that is staffed with highly skilled tree professionals. If you would like more information on any of our services, call us at 973-343-6868. Do You Need Tree Removal Passaic County? If you have dead trees laying around your yard, it not only unsightly but can also be hazardous to leave them there. You need tree removal in Passaic County, and Amazing Tree Services is the perfect company for you. We provide a wide variety of amazing tree services at affordable prices. If you have a dead tree still standing on your property, it can fall at any moment. It is best to call a professional to get it removed before it damages anything or hurts anyone. The same goes for dead hanging branches. We offer services in tree trimming to have them removed. If your tree’s branches have become unruly and you would like them to look more pleasing or let more sunshine through, we also offer tree pruning services. No matter what tree services you require, Amazing Tree Services can provide them quickly and affordably. 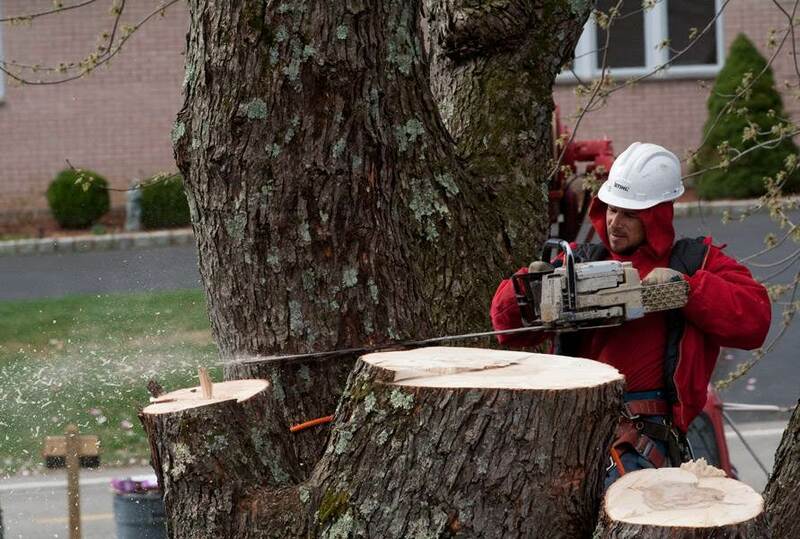 For more information on tree removal in Passaic County or any of our other services, call us at 973-343-6868. If you have trees on your property requiring any type of work at all, Amazing Tree Services is a professional company that provides high quality tree services in Essex County at affordable prices. We own all of our trucks, cranes and equipment which greatly reduces costs for rentals. One of our Essex County trees services is tree removal. If you have a dead tree on your property it can tip over at any time, endangering the surrounding people and property. While you may attempt to remove a tree on your own, our staff has the experience and equipment to get it done quickly and safely. 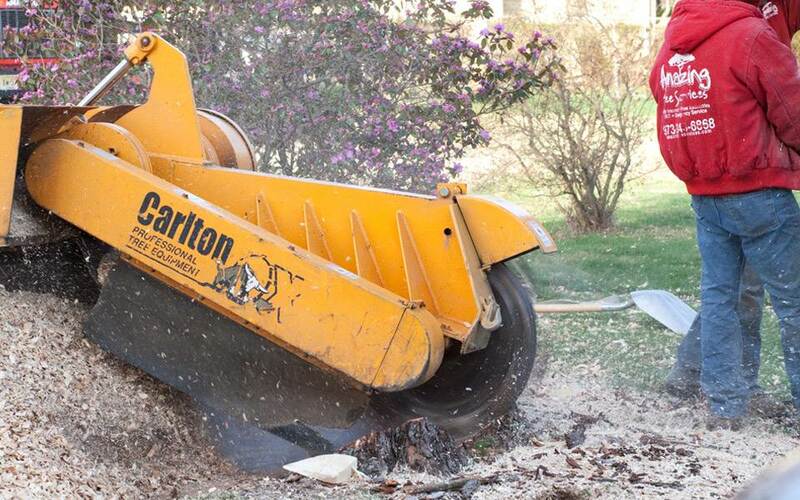 Another task that can be dangerous is stump grinding. We can do that easily and safely. Many people may leave a stump, but that can be unsightly and attract bugs. We can remove a stump in no time at all. We can take wood with us or leave it, if you would like to keep it for chips or firewood. No matter what tree services in Essex County you require, our staff can perform them and have your yard looking beautiful. If you would like more information on any of our tree services in Essex County, call Amazing Tree Services at 973-343-6868 for a free estimate.